Many companies of all sizes and across different industries are finding it’s becoming more and more difficult to establish reliable, long-term sustainable relationships with the most experienced members of large marketing agencies. Because of economic pressures and the need to do more with less, the larger agencies are taking on many more clients, who all have different needs, plus the challenge of coping with increased competition and a bewildering list of marketing options that grows larger every day. What appears to be a 2018 growing trend is clients taking on more marketing initiatives internally and then outsourcing the expertise they may not have, to smaller, quick moving boutique marketing agencies who selectively, choose to engage with a smaller number of clients. This model provides clients with the ability to enjoy a deeper more meaningful business relationship, working with high-level, “Key Person” professionalism and expertise, they can count on and trust. From the client’s perspective, what do their buyers want most? 1)	At or near the top of the list, are the services and products cost-efficient relative to the results to be achieved? 2)	How well do the Marketing Agency “solutions” support the client’s goals and provide a measurable Return on the Investment (ROI). 3)	Clients want their Marketing Agency to be more like “partners” and not like “vendors” who can’t resist talking too much about their own products or services. 4)	Provide more objective information to help the client make a more accurate decision. 5)	Without being asked, doing the research that shows you know what people in the client’s industry are talking about as well as first-hand knowledge about the business issues and concerns going on within the client’s company. 7)	Presenting well thought out options or alternatives that will provide the client with more clarity so they have the confidence to move forward with the proposed strategy and plans to grow their business. 8)	Keeping in touch throughout the process by asking relevant questions and updating them on the progress – meeting deadlines and staying on budget as a priority. 9)	Following up and staying in touch to find out how the solutions and the project is meeting expectations – the client is confident they can trust you as a dependable expert information resource. 10)	Committed to deepening the business relationship and being known as the one who cares enough to take the time to get to know them, enjoy working with them and is focused on helping them make their business more successful. Our Professional Experience confirms to us, these are among the most important things that clients and their buyers value and want to achieve by working closely with their Marketing Agency. 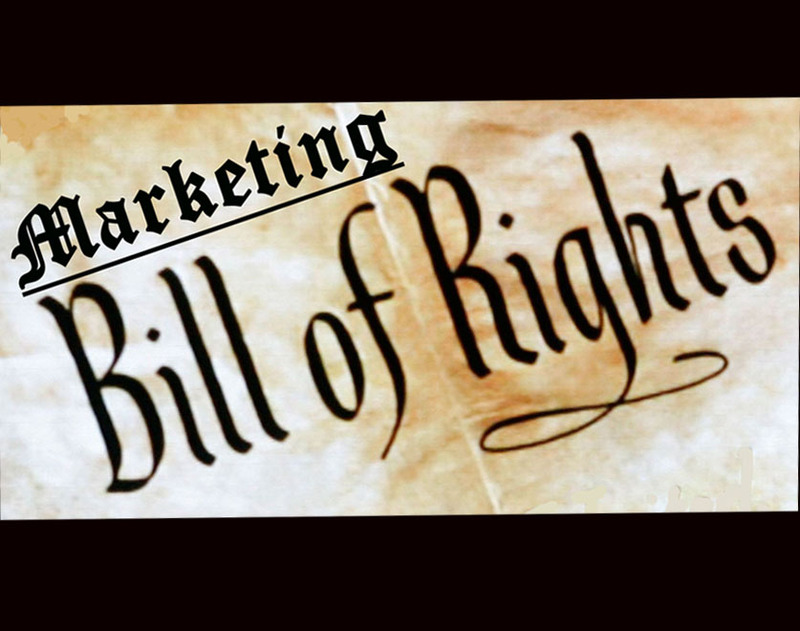 As you might have expected, these principles constitute the foundation of our “Marketing Bill of Rights”. This is what we believe in, are committed to and every client has the right to receive – guaranteed. We look forward to having a Client’s “Bill of Rights” conversation with you.